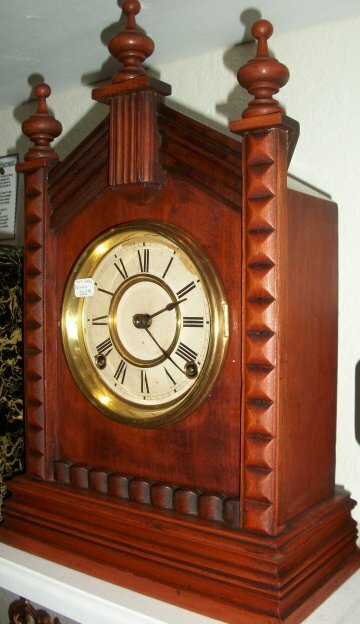 This clock was made by the Ansonia Clock company. 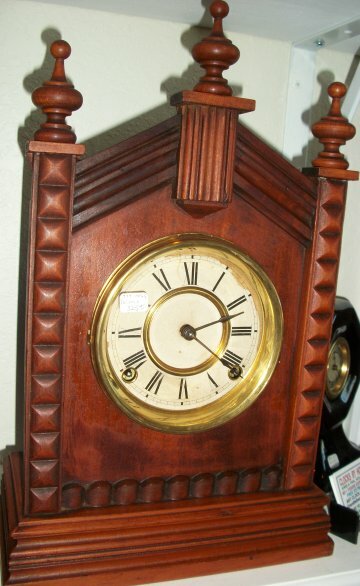 It has an 8 day time and strike works. The wood has a stain on it but the wood is a harder wood, maybe maple, but not sure.